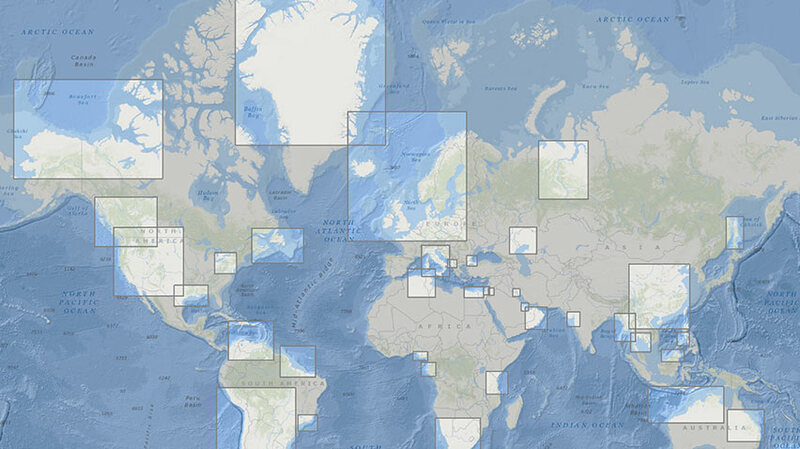 Deep water is the Upstream growth priority for Shell. We have advantaged positions in Brazil, the Gulf of Mexico, Nigeria and Malaysia as well as in other regions with substantial and profitable growth potential. We expect our global deep-water production from already discovered fields to grow to more than 900 thousand boe/d by 2020. Near-field exploration could add further growth. We are shaping our deep-water business with economically resilient projects that are scoped, designed, and safely operated in any market condition. We have new, pre-final investment decision (FID) projects with average break-even prices of less than $45 per barrel. 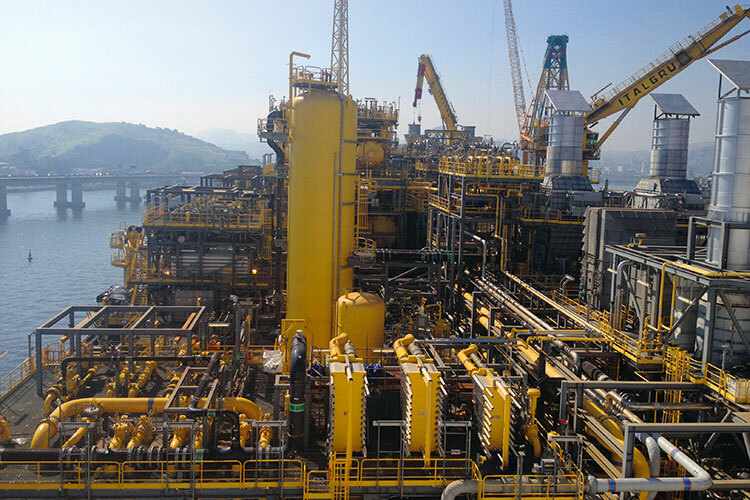 Shell’s Saquarema FPSO at a shipyard in Brazil. Decades ago, we pioneered deep-water development in the US Gulf of Mexico and have since led the industry on technological achievements. Our Stones development began producing in 2016 and is the deepest producing facility in the world. We took FID on the Appomattox project after we reduced the expected cost by around 20% compared with the initial estimate. Since taking the FID, we have reduced costs by another 20%. Appomattox and Vicksburg jointly hold 650 million barrels of resources and production is expected to begin later this decade. In addition, we have six other major producing assets in the Gulf of Mexico with subsea tie-back connections to several fields. In early 2017 we sanctioned the Kaikias project, which is a 40 thousand boe/d tie-back to the Ursa platform and is expected to start up in 2019. In Brazil, we delivered approximately 35% of our global deep-water production from operated and non-operated assets in 2016. Through our acquisition of BG, we have significant acreage in the Santos Basin Pre Salt, which is one of the best deep-water provinces with break-even prices of under $40 per barrel. We have nine FPSOs operating in the Santos Basin, with two more planned to start up in 2017. We also have a 20% interest in the giant Libra Pre Salt oil field in the Santos Basin. At the end of 2016, Shell reached a new production milestone of more than 250 thousand boe/d, further consolidating its presence as Brazil’s second-largest oil producer. Shell celebrated 125 years in Malaysia in 2016. Together, we pioneered the oil and gas industry in the country and fueled its growth. Offshore Malaysia, Shell operates five producing oil fields, including the Gumusut-Kakap deep-water field where production began in 2014. Malikai, Shell’s second deep-water project in Malaysia, features the country’s first TLP and began production in December 2016.